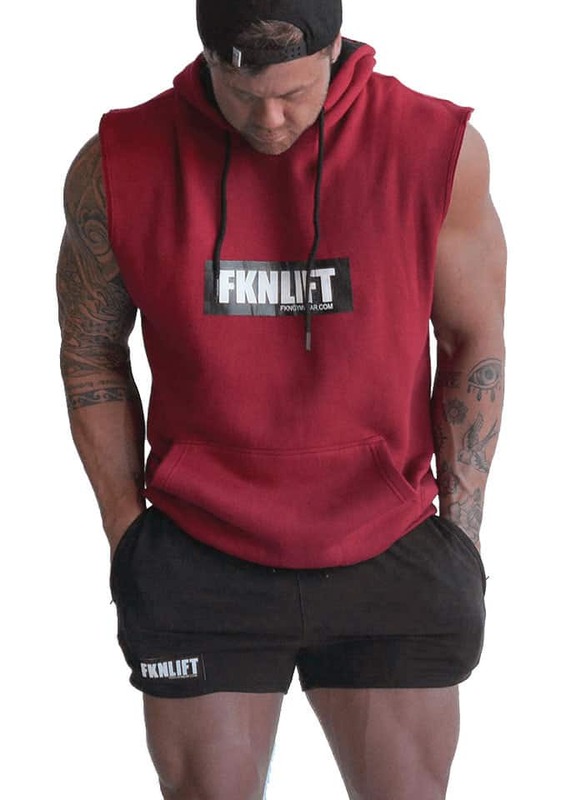 The all-new Mens FKN Sleeveless Gym Hoodie in Maroon offset with the black hoodie internals. Our Maroon hoodie is finished with an FKN GYM WEAR Logo screened in two colour in the middle of your hoodie. 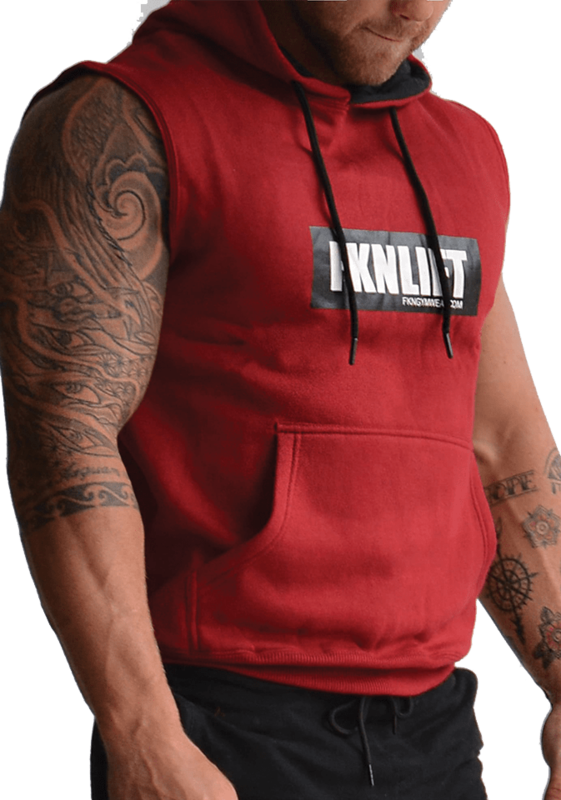 Pair this hoodie with our track pants and one of our snapback caps to be FKN bold and comfortable at the same damn time.